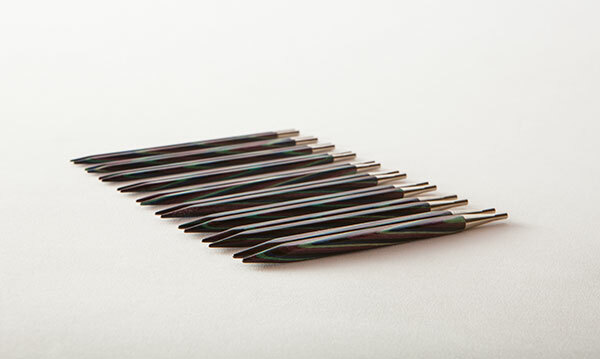 Foursquare needles take the same Knit Picks needles that you know and love and squares them. Smooth, flat sides that fit perfectly against your fingers and gently rounded corners offer a comfortable, secure grip, helping keep your hands limber and your stitches even for hours of comfortable knitting. Available in US sizes 4-17. Set of two. Needle length is 4 3/4". Interchangeable cables are available in 24", 32", 40", 47" and 60" lengths. Love them. So smooth and soft. I knit a lot of dark colors and would love a set in light wood. I can't see my dark stitches on these. These are nice, but some of mine (I have the whole set) do have tiny nicks, as another person commented. Not enough to snag anything...so far...but you do definitely feel it. The tapered part of the tip is quite short/blunt, as opposed to the narrowing at the tip being longer and more gradual. I do realize these are shorties, so there is a limited space for that. Also the very tip itself is quite blunt, so finer gauge or more halo-ed (is that a word?) yarn doesn't work so well. The smallest in the set is I think a 4, so I realize they were not necessarily meant for lacier projects, and they are awesome for sport weight and heavier yarn. I would use them more if the tips were sharper. I do love using them when the yarn and the project are suited to them, they are SO much easier on your hands! Foursquare is the only needle I've used that soothes carpal tunnel and arthritis. Dr. says it's because a looser grip is used with flat surface lying along length of finger. Whatever, it's lovely! 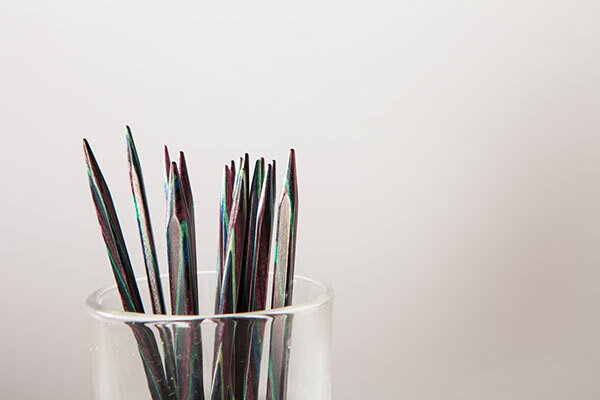 I just don't use the round needles anymore if i can help it. So much to knit, so little time, but love the foursquare needles. sue kidd. 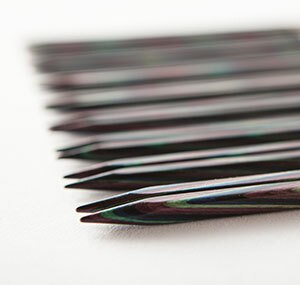 I love these square needles - would love to see them in your new Radiant colorway!!! Only negative is that I've had a couple of needles with little snags where the wood is joined (planed together) - otherwise, I can keep on knitting forever with the squares!!! Thank you so much for making these. I was skeptical at first, so tried just one pair of 7’s and was just amazed at the difference! 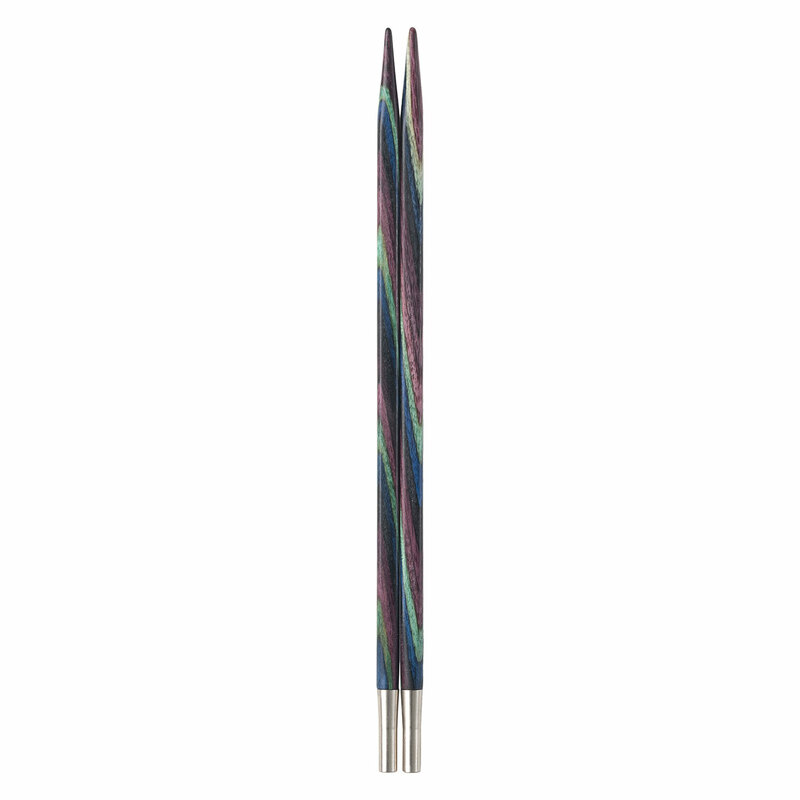 I can knit for much longer and more frequently with these than with traditional round needles. Went back and ordered the set you offer. And I’m with Annie, please consider making them in sunstruck - I’d buy another set!